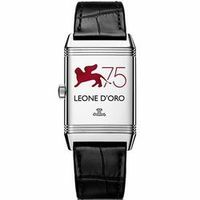 Venice, August 31st, 2018 – Jaeger-LeCoultre, official partner of the Venice International Film Festival for the 14th consecutive year, hosted 80 guests from the all over the world at the magnificent Palais Pisani Moretta tonight. Paying tribute to the art of filmmaking, CEO of Jaeger-LeCoultre, Catherine Rénier welcomed British actor Benedict Cumberbatch and South Korean actor Lee Byung-Hun, at a palace which has previously welcomed Tsar Paul I of Russia, Joséphine Bonaparte, Holy Roman Emperor Joseph II and Goethe. The highlight of the evening was a Letters Live performance by Jaeger-LeCoultre brand ambassador Benedict Cumberbatch. Letters Live is a philanthropic initiative which promotes the power of literacy by inviting worldclass artists to perform live readings of historical letters on stage, while adding their own artistic interpretation to the original text. Jaeger-LeCoultre is proud to support this endeavour which celebrates raw talent, individual artistry and the enduring joy of shared memories. 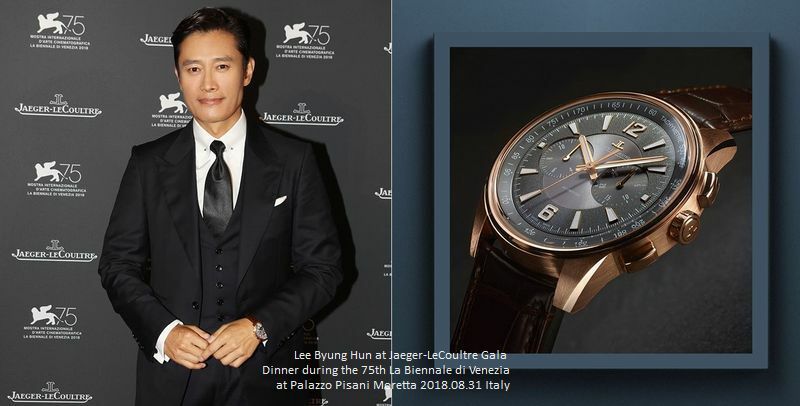 Benedict Cumberbatch and Lee Byung-Hun both wore watches from the Jaeger-LeCoultre Polaris collection, launched at the 2018 SIHH and inspired by the 1968 Memovox Polaris diving watch. The 2018 Jaeger-LeCoultre Polaris boasts the same sporty elegance and adventurous spirit of the original. Benedict Cumberbatch wore the Jaeger-LeCoultre Polaris Memovox, available in a limited edition of 1000 pieces and Lee Byung-Hun chose the Jaeger-LeCoultre Polaris Chronograph in pink gold with an anthracite dial and an oscillating weight in pink gold, the only one of its kind currently available in a precious metal. Since its creation, Jaeger-LeCoultre has been delighting and surprising devotees of beautiful objects. In keeping with the inventive spirit initiated in 1833 by its founder Antoine LeCoultre, the artisans of the Manufacture combine their talents and expertise to create collections which have been at the forefront of watchmaking both technically and artistically: Reverso, Master, Jaeger-LeCoultre Polaris, Rendez-Vous and Atmos – this rich legacy built by the Grande Maison over centuries serves as a constant source of inspiration in its ongoing pursuit of excellence. In the wake of many legendary models, the 21st century has seen the emergence of the Hybris Mechanica and Hybris Artistica collections. These rare pieces are as surprising as they are sophisticated yet again bearing witness to the creative passion of the men and women who work in symbiosis under its roof. 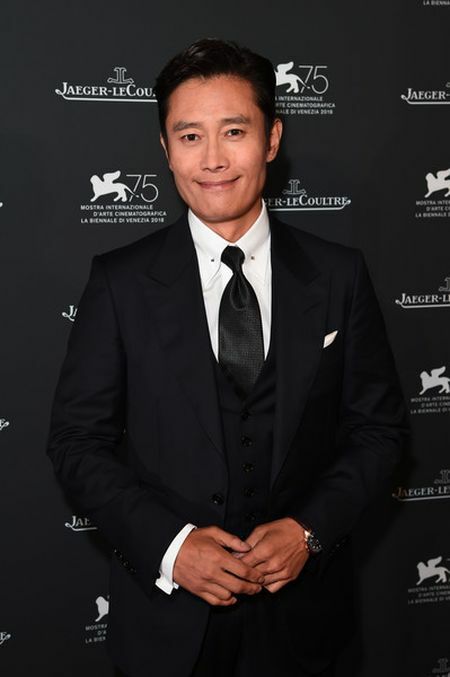 Lee Byung Hun arrives for the Jaeger-LeCoultre Gala Dinner during the 75th Venice International Film Festival at Palazzo Pisani Moretta on August 31, 2018 in Venice, Italy. Jaeger-LeCoultre CEO Catherine Renier and Lee Byung Hun arrive for the Jaeger-LeCoultre Gala Dinner during the 75th Venice International Film Festival at Palazzo Pisani Moretta on August 31, 2018 in Venice, Italy. Benedict Cumberbatch (L) and Lee Byung Hun arrive for the Jaeger-LeCoultre Gala Dinner during the 75th Venice International Film Festival at Palazzo Pisani Moretta on August 31, 2018 in Venice, Italy. 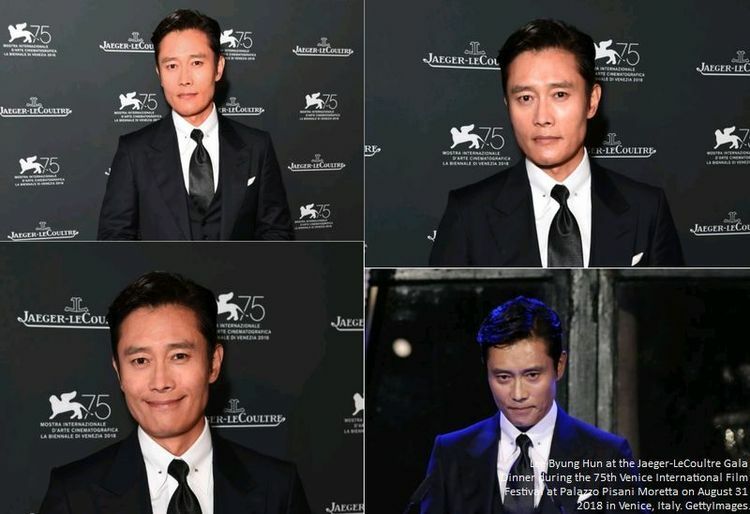 Lee Byung Hun speaks during the Jaeger-LeCoultre Gala Dinner during the 75th Venice International Film Festival at Palazzo Pisani Moretta on August 31, 2018 in Venice, Italy. 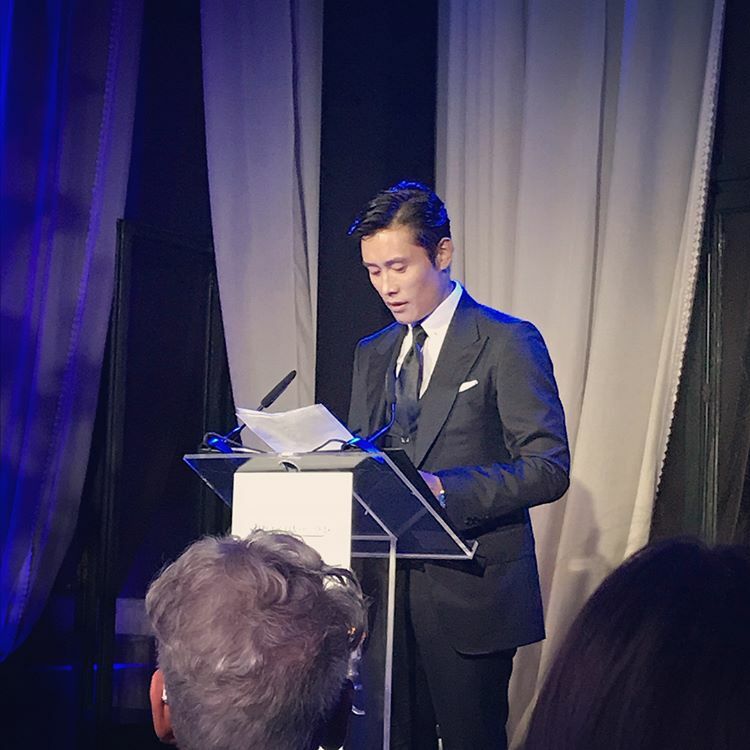 LBH reading Letters Live at #jaegerlecoultre evening in #venice ???????????? #stylescmp Magazine FB #ambassador #LeeByungHun #?????? #?? ?